“Violet Gro, an arm of the Violet Defense Group based in Celebration, Florida, is the newest company to come to the Grand Valley, breaking off from its parent company. The announcement comes almost simultaneously with the news that Boulder-based bike rack maker RockyMounts will move to the Grand Valley in 2019, taking up residence at the Riverfront at Las Colonias business park that is under construction. Violet Gro is an agricultural LED lighting company that seeks to help indoor growers by giving plants more light with less heat and reducing exposure to harmful bacteria and insects. The company is already working with local hemp companies in the Grand Valley on a local research consortium, Violet Gro announced Thursday. 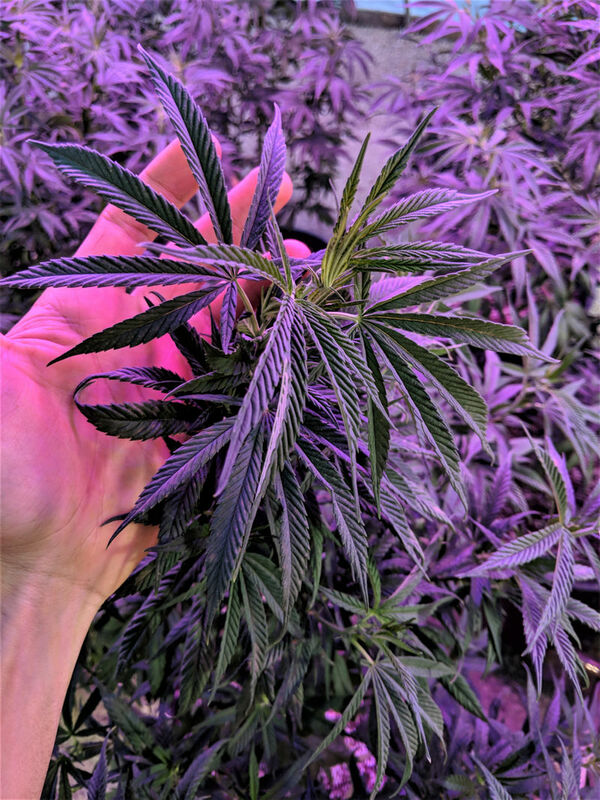 The goal of the research is to evaluate best practices in helping grow hemp indoors and seeing which ultraviolet lights are most effective. Violet Gro is working with Grand Junction’s Speedy Grow, Colorado Hemp Solutions in Whitewater and the Salt Creek Hemp Co. in Collbran. Violet Gro was created as an offshoot of Violet Defense Technology, which has developed UV light technology to help kill bacteria in the medical field. Violet Gro President Kurt Kucera said Grand Junction became an ideal location for the company’s new home because of the connections already in place. ‘It’s really exciting and we’ve got a lot of connections in Grand Junction and Montrose and into Durango,’ Kucera said. Kucera has bought a house and will be moving to the Grand Junction area in the coming weeks. When here, he will look for a 5,000- to 10,000-square-foot facility and seek to hire locally for jobs in sales and technology. Some of the technology work will still come out of Violet Defense Group in Florida. Kucera has worked with the Grand Junction Economic Partnership to coordinate Violet Gro’s move to the Grand Valley. GJEP Deputy Director Steve Jozefczyk said he’s exploring benefits that could be available for Violet Gro, including a Rural Jump-Start grant. To qualify, Kucera would have to hire at least five employees, but Kucera said he plans to have at least eight to 10 on board within a year. Jozefczyk said the company should find a good home in Grand Junction. Interested in bringing your business to Colorado’s Grand Valley? Contact us! Photo via The Daily Sentinel shows the violet light produced by Violet Gro reflecting on hemp plants.